I reach for the Denker Shave. 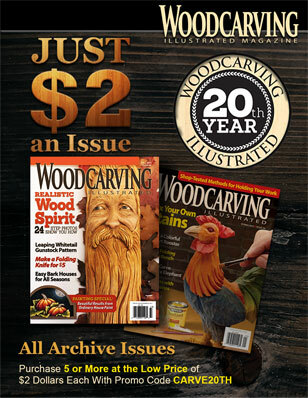 It was invented by Jim Denker, a woodcarver, mechanical design engineer, and inventor. The simple-looking design, which resembles a scorp, disguises its usefulness and utility. The heart of the tool is a 5/8“ (16mm)-diameter sharpened punch used by manufacturers to die-cut everything from plastic and leather to soft wood and metal. This sharp and long-lasting cutter is attached to a wooden handle. The adjustable depth control allows you to take lighter or heavier cuts. Jim’s early models didn’t have the depth control. “They could remove more wood with each cut, but they also cut too deeply and got stuck,” he said. Jim set the depth control to consistently take cuts that you can pull the cutter through with one hand, allowing you to cut quickly and remove wood fast. In a video on his website, www.denkerdesign.com, Jim shows how fast he can remove wood, but I wanted to see how fast I could do it having no experience with the tool. I started with a black walnut branch I wanted to turn into a bowl. I left the bark on the edges, but used a drawknife to flatten the top. The Denker Shave isn’t good at removing bark because the bark clogs in the depth control. I attached the branch to my bench and started hollowing. I was shocked at how fast the chips flew. In five minutes I removed about 1“ (25mm) of wood without much effort. 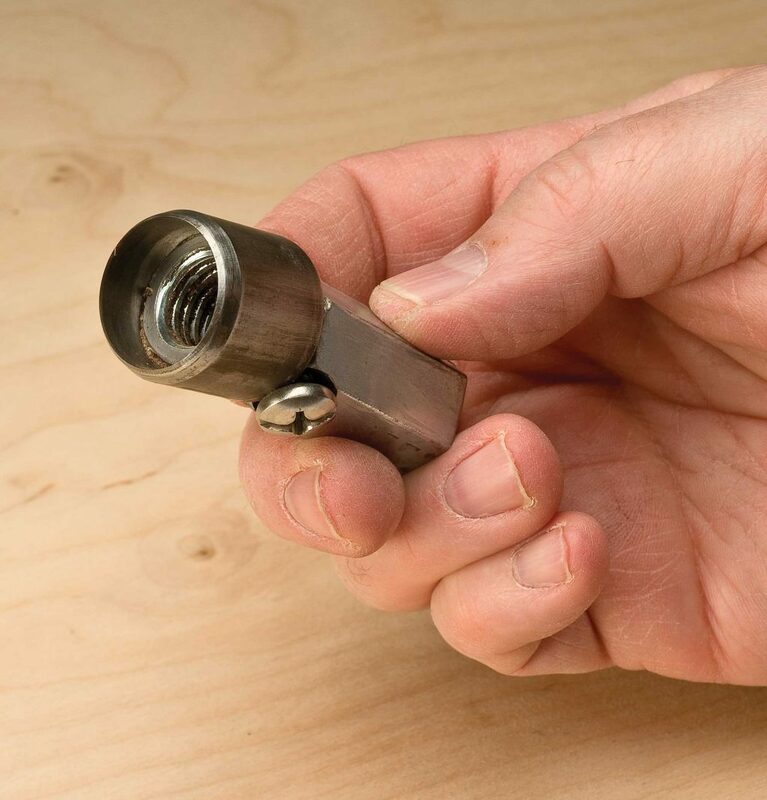 In addition to the hand version, Jim makes a Rotary Carver that attaches to an angle grinder. 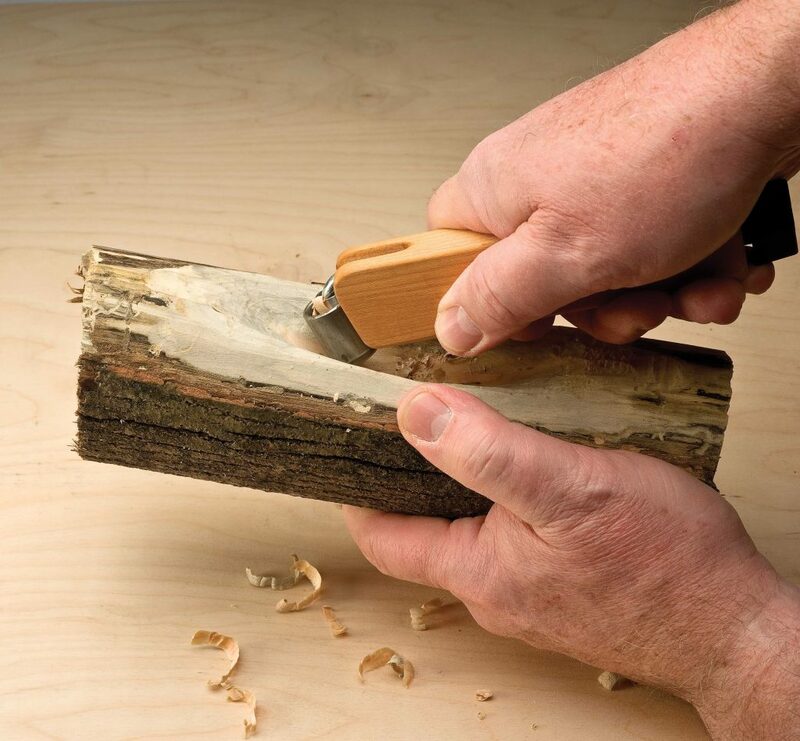 This tool allows you to remove wood even more quickly. The standard carving discs that fit on an angle grinder can be hard to control and may kick back if you encounter a hard grain area. The Denker Rotary Carver is designed to never kick back. Using the Rotary Carver, I hollowed out a bowl in less than a minute. All of the Denker tools come with a holder fashioned from a piece of plastic pipe so you can touch up the edge with a grinder or sharpening stone. Because you only use a small arc of the cutter at a time, you can also rotate the cutter to keep exposing unused parts of the blade. Even after all the work I did, I haven’t rotated the cutter, let alone sharpened it. The Denker Shave is available for $69.95. 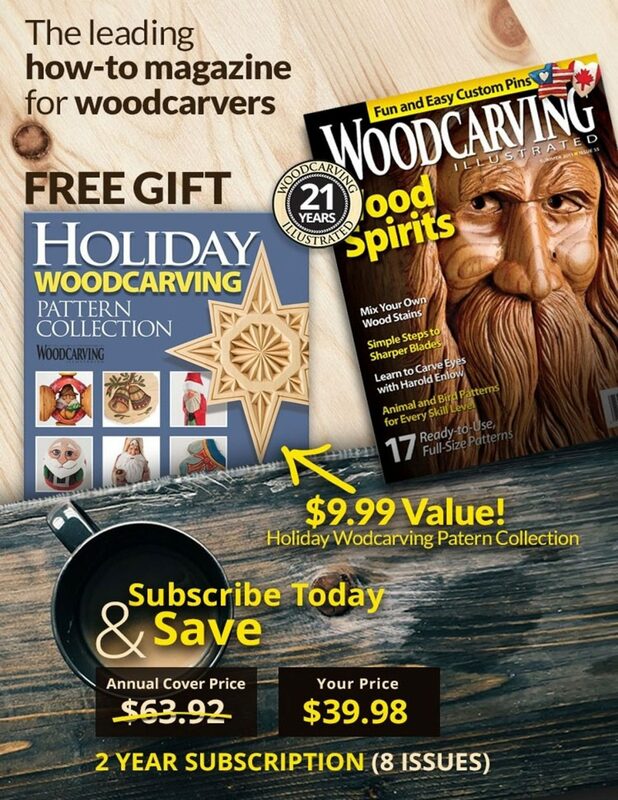 The Rotary Carver is available for $49.95. Replacement cutters are available for $9.95. To order, visit www.DenkerDesign.com or call 781-545-2617.